1. Be a mentor: Sign up for mentorship opportunities through your local community center, whether it’s working with children as a Big Brother or Big Sister, or tutoring adults in a literacy program. Look for mentorship positions that draw on your individual skills and abilities and allow you to share these abilities with others. 2. Volunteer at a local organization: Focus on local organizations that you would like to assist or be a part of. Contact them by calling or emailing them and tell them what you would like to do to help. Many nonprofit and government organizations are constantly looking for volunteers to donate their time and energy towards a specific cause. 3. Focus on a new career: Though you may not be ready to jump into another career after putting years into your previous one, think about a career or job you have always wanted to pursue. This could be home decorating, starting your own business, or even freelance writing. 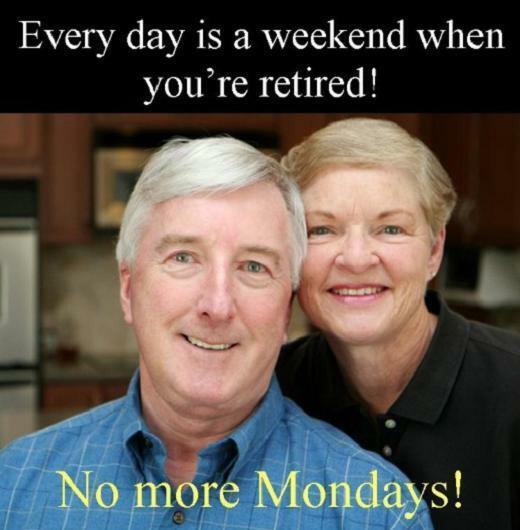 Focusing on a new, less stressful career will fill up your time and give you a renewed sense of purpose in your retired life. 4. Do part time work: There are many solid part time job options for retired folk, from limo driver to tax prepare to tutor to nursery worker. Look for seasonal jobs that put you in a new or interesting environment, such as working outside as a national park ranger or as a care worker in a care facility. Part time work is also a good way to earn a small income and feel like you are contributing to society. It will also likely not be as stressful as full time work or your previous career. 1. Write your memoirs: This could be in the form of letters to your living relatives, or journal entries every day. Recording your past experiences and adventures will allow you to share these moments with loved ones and relay life lessons to others. Start by recording your memories in a journal or writing letters to a specific family member, such as your children or grandchildren. Try to write a little every day to get into the habit of writing down your thoughts and memories. 2. Read your way through a book list: Maybe you have an ongoing list of books you’ve been keeping all these years for when you have the time to delve into them. Head to your local library and work your way through a book list, whether it’s a personal one you have been keeping, or a comprehensive book list of Western classics, the top thrillers and mysteries, non-fiction must reads, or great sci-fi books. You can also choose a specific genre or topic that you are interested in and focus on reading as much about a topic as possible. For example, World War II historical fiction, or wood working. Ordering books online is easier than ever now through Amazon or Indigo. Simply googling the title or author of the book, look for it online, and order it for fast and cheap shipping straight to your door. Books on tape, or audio books, are also a good option if you prefer resting your eyes and listening to a good book read by a professional actor or voice artist. 3. Learn a new language: Exercising your brain by learning a new language will keep your mental facilities sharp and clear. Try a computer based language program like Rosetta Stone or Duolingo. There are also over 48 languages, from Spanish to French to Chinese, that you can learn online for free through courses you can download and complete at your own pace. If you are looking for a reason to get out of the house, sign up for a language class where you do in person activities and practice sessions to improve your conversation skills. 4. Do a weekly physical activity: Staying active is another important way to stay busy during retirement. A physical activity like tennis, golfing, swimming, or jogging, done once a week, can keep you healthy and grounded. If you’re looking to meet other people or socialize, go for team activities or sports. 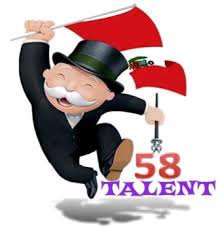 Look for master classes set up for older or senior participants. 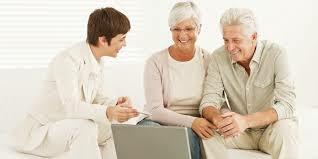 Sign up for a senior specific class to allow you to meet other people and socialize. You can also sign up for lessons or classes to improve your serve or your breaststroke. These classes will also help you meet other people who may be interested in the same hobbies or activities as you. 5. Join a club: Look for clubs that may appeal to your interests or hobbies, such as a bridge club, a senior women's or men's recreational club, a golf club, or a church club. Check the club listings online in your area or the postings on the community board in your local coffee shop or grocery store. 6. Take a class and learn a new skill: Focus on a hobby that you would like to improve on, like learning how to crochet more complicated patterns or carve more difficult wood sculptures. Look for classes at your local community center or college. You can also attempt to learn a completely new skill and use your free time to explore a skill you’ve always wanted to try. Many universities and colleges have lifelong learning programs for seniors, where you pay very little or nothing at all to take adult learning classes. You can also make new friends in a learning environment. 7. Cook your way through a cookbook: If you have never been confident in the kitchen or are looking for ways to expand your recipe repertoire, choose a cookbook and work your way through it one recipe at a time. This could be a cookbook that focuses on a certain style of eating, like a vegetarian or gluten free diet, or a region of cooking, like Thai food or Polish food. You could also tackle a food bible, like Julia Child's Mastering the Art of French Cooking, and learn how to properly braise meat or make a delicious sauce. Once you feel you have mastered a recipe, use your friends or family as guinea pigs and invite them over for a big meal, or have a potluck where everyone cooks something. 8. Go on a road trip: If you have access to a car or an RV and enjoy a long drive, map out a route around your city or area. Or choose a destination on the map close to your home and look for a scenic route or a route with natural wonders or man made oddities (the world’s largest paper clip?) along the way. Going on a road trip will introduce you to new sights and people, and fill your time with new experiences. Having access to an RV will allow you to take longer trips, to farther destinations, in comfort. 9. Travel overseas or to another country: Maybe you have relative you’ve been meaning to visit across the pond or in another country. Or perhaps you have always wanted to see Michelangelo's sculptures in Florence, or the pyramids in Egypt. Plan a trip to see the great wonders of the world, solo, or with a friend or family member. There are many flight deals available online, especially if you have the time to travel off season or during a less popular time. Do a web search for package trips, which usually include airfare, accommodations, and guided tours and activities. 10. Spend time with family: One of the best ways to use your free time is to spend quality time with your relatives, from grandchildren to your children to brothers and sisters. If you are close with your family, arrange weekly play dates with your grandchildren to give your week structure. Go to cultural events, like the opera or the ballet, or spend time camping and going on trips with them. Cricket Match for Employees, Howzzat?! CbS Group constantly work towards managing different events for employees to keep them relaxed, motivated and update, giving sometime away from the normal work routine. This time CbS decided to implement a wonderful idea of having Cricket match for Employees to encourage the sportsmanship of every individual. 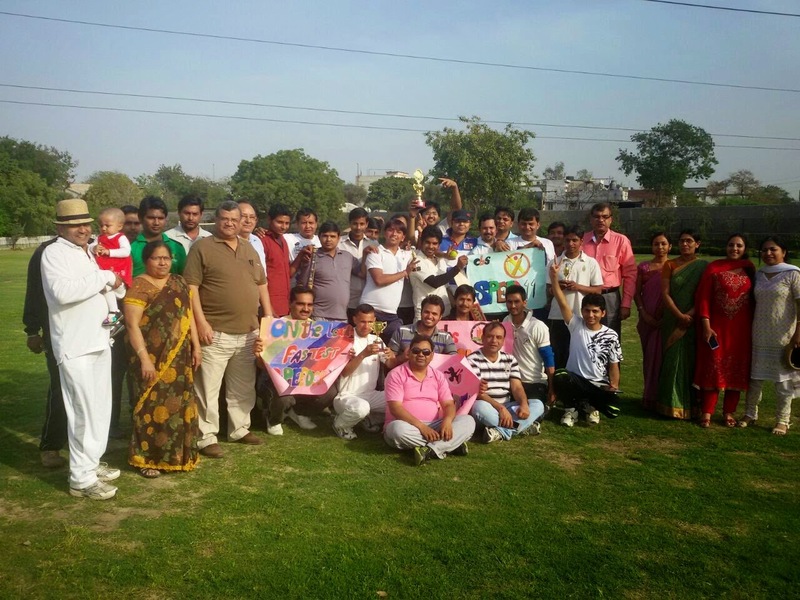 The match was held on 28 Feb 2015 at Chilla Sports Complex, New Delhi. The players were divided in 2 teams. The teams were named as Speeders and Bolders. Mr. Inderjeet Yadav was the Captain of the Speeders Team and Mr. Raj Verma, was heading the Bolders Team. Mr. Praveen Gupta, Managing Director, Arun Manufacturing Ltd, Delhi was invited as the Chief Guest. We really thank him for sparing time for the match, his presence made the team more encouraged. Everyone enjoyed the match and the delicious snacks & soft drinks in the interval. 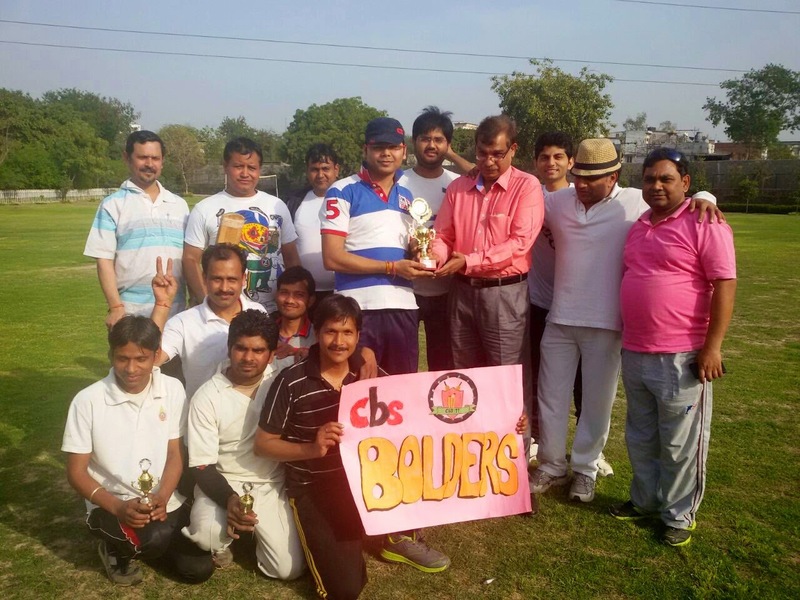 Bolders Team, captained by Mr. Raj Kumar Verma was the winner of the Match. Players like Jitendra, Shokeen, Tapas, Deendayal, Gaurav have really performed well not only with the bat, rather with the ball and contributing their 100% in the field as well. Thanks to our umpires (Mr. P. D. Singh & Mr. Ankur Bass & statisticians (Mr. Nem Singh) done a great job and gives a transparent decisions. Mr. Shaukeen from Speeders Team was awarded for the Man of the Match. Mr. Jitender from Bolders team was awarded for the best Bowling. Mr. Jitendra Kumar from Speeders Team was awarded as the Best Batsman. All the players really performed great in the match and tried all their best to make their teams win. Everyone congratulated the Winning Team. Our Directors, Managers and the Chief Guest congratulated everyone for showing such a nice sportsmanship spirit on the field. Thanks to the match coordinators for organizing the event in such a wonderful way and The CbS Managing Director, Mr. Sunjay Agarwal for taking such a great initiative.